Research has found that men who choked their partners were 10 times more likely to eventually kill them. That explains question number 5 - "Has he/she ever tried to choke you?" - on a domestic violence lethality checklist developed by researchers from Johns Hopkins School of Nursing. 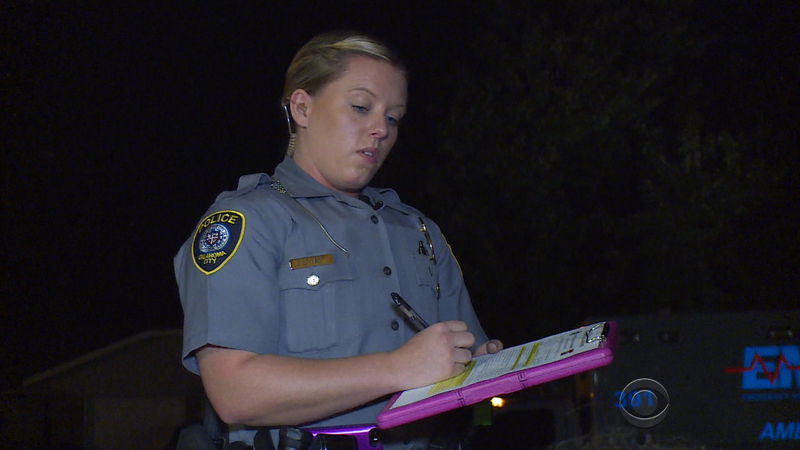 As CBS News correspondent Anna Werner reports, the Oklahoma City Police Department is among the forces using the 16-question checklist, which is designed to help officers identify victims who are likely to be killed. Capt. Kim Flowers heads Oklahoma City's domestic violence unit, which has been using the checklist for three years. "He wants you to know that he's in control, and he can snap your neck in half whenever he feels like it," Flowers said of the question about choking. The more times a victim answers "Yes" to the questions, the more likely domestic violence may lead to a victim's death, Werner reports. Starting Saturday, the checklist will be used across the state of Oklahoma. Authorities in Maryland say fatalities have dropped 30 percent since they started using it. 1. Has he/she ever used a weapon against you/threatened you with a weapon? 2. Has he/she ever threatened to kill you or your children? 3. Do you think he/she might try to kill you? 4. Does he/she have a gun or can he/she get one easily? 5. Has he/she ever tried to choke you? 6. Is he/she violent or constantly jealous or does he/she control most of your daily activities? 7. Does he/she follow or spy on you or leave threatening messages? 8. Have you left him/her or separated after living together or being married? 10. Has he/she ever tried to kill himself/herself? 11. Do you have a child/children together? 12. Do you have a child that he/she knows is not his/hers? 13. Has he/she been physical toward the child(ren) in a way that concerns you? 14. Does he/she have an alcohol/substance abuse problem? 15. Has he/she interfered with a 911 call? 16. Is there anything else that worries you about your safety?